Jade Tours is a small tourist company in Manuel Antonio that meets all legal requirements to operate tours in Costa Rica and most important, offers the best service to our customers. Liability insurance on every tour with medical expenses and compensation. Private transportation with all legal permits with insurance policy as well for our customers on board. The best Naturalist guides fully certified by the Costa Rican Tourism board. The best and most expensive optical equipment for our customers to have a greater appreciation of the animals in each tour. An office that meets all legal requirements to provide our customers a better service. Ease of charging debit and credit cards (VISA - MASTERCARD). Costa Rica Jade Tours was born at the hands of Mario Brenes who began working for the tourism industry since his fifteen years old. When he started working he was still at school. Mario used to work during the morning and go to school at night. Once a week, he traveled for 2 years to the capital to get certified as a naturalist guide at the Costa Rican Tourism Institute. After school, he got a Management Major with emphasis on tourism from Universidad de Costa Rica. In 2009 when Mario had a better professional knowledge in the field of nature and administration, so he undertook a long and arduous road: build his own tour company in Manuel Antonio which he called "Costa Rica Jade Tours". Just when Mario began to build his own company he was suddenly surprised by a great blessing which he has called "My great strength and force to be successful:. Yes, Mario became father. During the search for the name of their future baby they thought in "Jade" (a cute gemstone) because they thought it would be a girl. And then he also took the opportunity to call his company "Jade Tours". Mario and Cristel later realized that their baby was not a girl. Was a lovely boy whom decided to name James Brenes. Today Mario and Cristel want to save the name Jade for their future girl!! 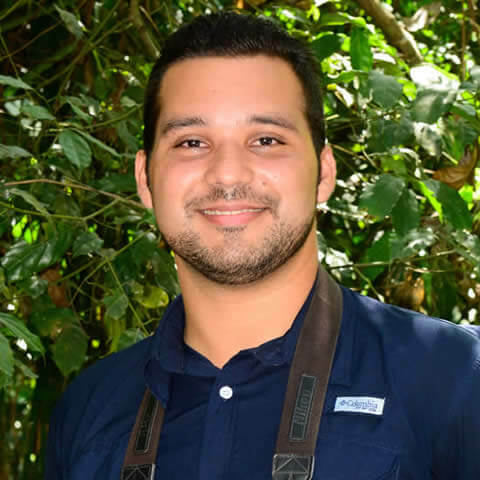 Mario Brenes is a naturalist guide, certified by the Costa Rican Tourism Institute and has over ten years working experience in Manuel Antonio and the central Pacific coast. Since each day is a unique and enjoyable experience, Mario takes great pleasure in his work. As a naturalist guide, Mario feels it is his duty to pass on his extensive knowledge of Costa Rica’s biodiversity to others, and teach them the importance of nature conservation. You too can be part of the big step in protecting and caring of our planet. Mario is also a passionated photographer of the wildlife from Costa Rica. During his free time he goes with his wife Cristel into the field to do researching for reptiles and amphibians at some specific areas or to do birdwatching locally and around Costa Rica. This is how Mario Brenes has enriched his knowledge and gets to make his greatest passion ¡fully enjoy the wildlife of Costa Rica! 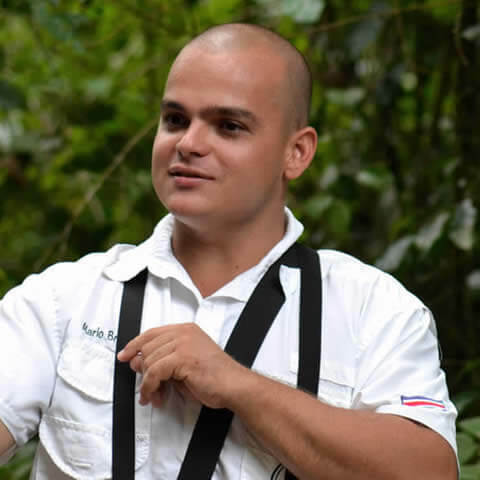 Jason Solano is a naturalist guide certified by the Costa Rican Tourism board. With an experience of nearly ten years he has become an expert on the nature of Costa Rica. Jason has worked for several tour companies with big status in all Costa Rica and now he is one of the most important persons of our local scientific community. As Mario and Jason are good friends they have agreed to work the nature tours supporting each other in order to provide the best tours of the Manuel Antonio National Park. Luis Venegas is a Nature lover and local Naturalist Guide. 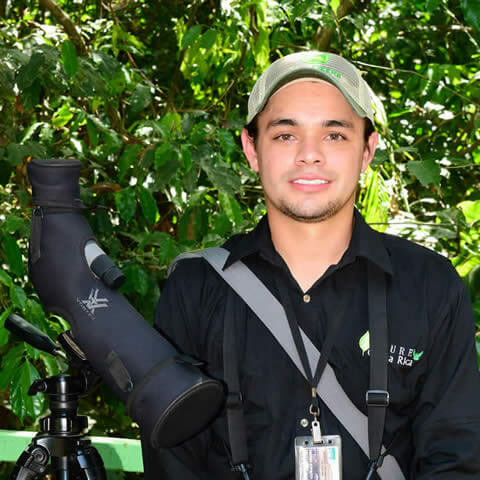 With 10 years experience in the fields Luis Venegas have created a big awareness between all the naturalists in Manuel Antonio, as Luis keeps studying the wildlife. Luis is well known as the best person for consulting about the many insect species in Manuel Antonio. He definitely loves entomology. We all feel so glad that have Luis Venegas being part of our team. 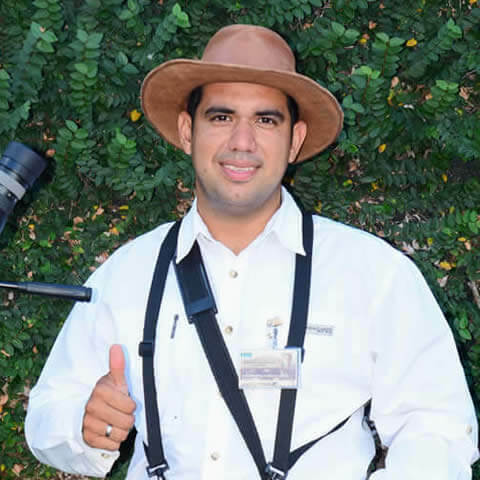 Having Luis Venegas in your nature tour is a complete warranty of an excellent experience. Juan Campos was born and raised in the Quepos area. Juan Campos is Mario's friend since school as they were classmates while school. With more than 10 years experience, Juan is currently one of the most knowledgeable tour guides on the central pacific slope of Costa Rica. 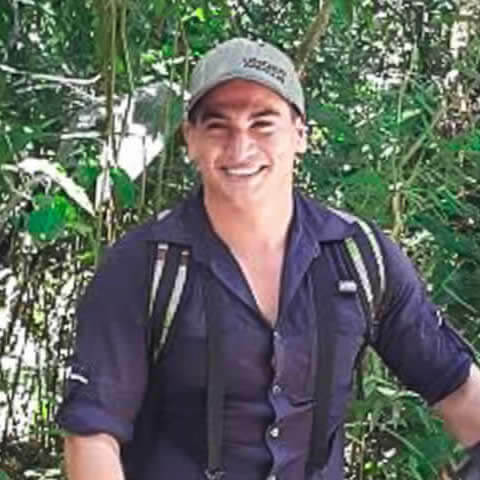 Juan Campos worked for 3 years as a herpetologist assistant with Jimmy Mata (one of the most renowned herpetologist of Costa Rica), increasing like this his amazing knowledge about the wildlife. Juan Campos is almost done with his biology career He loves nature so much that his number one goal is to earn a degree in science of biology so he can teach in school. Andres Espinoza is a local Naturalist Guide & Bird lover as well. Andres is originally from Heredia and lives in the region of Quepos-Manuel Antonio since 7 years ago. With the passion, enthusiasm and the experience gained at the field during his more than 9 years of experience guiding, he is always willing to give each customer a lifetime experience through his office "the rain forest". As a naturalist Andres is always fascinated about the delicate balance in nature, understanding the perfect relations between the diverse species of our forest is always a joy, the experience of traveling through Costa Rica and the countless hours invested at the field has been his key to understand how the different Eco-systems work like. As a birder, Andres is capable to quickly identify species by sight and by ear. 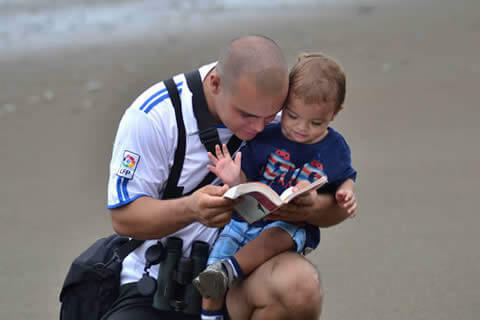 Birding through the country has allowed Andres to gain a big knowledge about the costarica wild life.